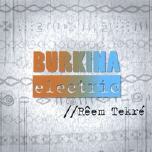 Burkina Electric is the first electronica band from Burkina Faso, in the deep interior of West Africa. With its main base in the music scene of Ouagadougou, Burkina Faso's capital, it is, at the same time, an international band, with members living in New York, U.S.A. and Düsseldorf, Germany, as well as in Ouaga. In Burkina Electric's music, the traditions and rhythms of Burkina Faso meet and mingle with contemporary electronic dance culture, making it a trailblazer in electronic world music. Before starting Burkina Electric in 2004, band members Maï Lingani, Wende K. Blass, Pyrolator, and Lukas Ligeti had become close friends as members of Beta Foly, a group that emerged from a workshop led by Lukas and Pyrolator in Abidjan, Côte d'Ivoire, which, among other experiments, created some of the earliest fusions of techno/trip-hop with African traditional music. The core band consists of four musicians and two dancers, often augmented by guests. Rupert Huber, of the well-known Austrian electronica duo Tosca, collaborates and performs with the group on selected occasions. All songs are composed and choreographed collaboratively by all group members, and the music is directed toward an audience appreciative of electronica/club culture. Much electronic dance music, even in Africa, still seems to employ the same rock and funk rhythms that have been used in Western pop for the past 50 years. Burkina Electric challenges this convention and seeks to enrich the fabric of this music by using different rhythms, equally danceable but rarely heard. Many of the songs are built upon ancient rhythms of the Sahel such as the Mossi peoples' Waraba and Ouennenga, little-known even in Africa outside of Burkina. The dancers, whose choreographies meld elements of the traditional and the modern, invite you to discover that these exotic rhythms groove at least as powerfully as disco, house or drum&bass! The group also creates new rhythms influenced by traditional grooves, and uses sounds of traditional instruments and found sounds and soundscapes recorded in Burkina in unusual ways. It is truly African electronica, both experimental and entertaining. 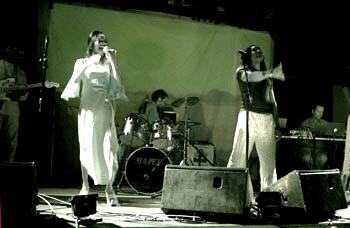 The performance is further enhanced by the use of live-manipulated video. Award-winning singer Maï Lingani, a star in Burkina Faso because of her unique voice and charismatic stage presence, sings in Moré, Dioula, Bissa, and French. Wende K. Blass, one of Burkina's premier guitarists, contributes soulful guitar melodies. Electronicist/VJ Pyrolator has been one of Germany's most inventive pop musicians and a top producer ever since the days of the "Neue Deutsche Welle" some 25 years as a founding member of bands D.A.F. and Der Plan, while New York-based drummer/electronicist Lukas Ligeti is one of the most up-and-coming concert music composers internationally and has received commissions from groups such as the Kronos Quartet and the Bang on a Can All Stars. Burkina Electric was formed for a tour in Austria in 2004. In May 2006, the group performed at the Festival Jazz à Ouaga in Burkina Faso and released its debut album, "Paspanga", in Burkina Faso. 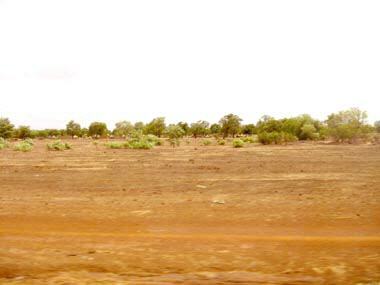 Two video clips, produced for Burkinabè TV, are now receiving heavy play in Burkina Faso and surrounding countries.